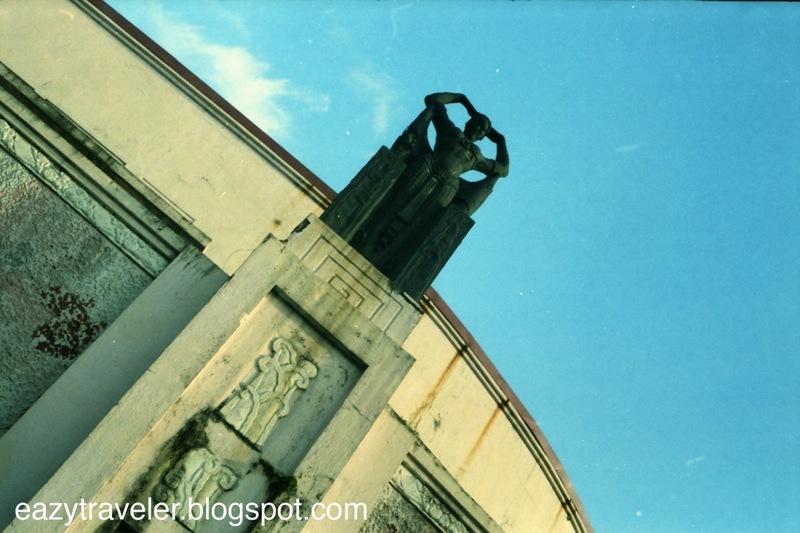 Aboard the LRT before the train crosses the Pasig River, you won’t miss it: a lonesome structure with curious detailing on the busy intersection of Padre Burgos Street and Quezon Boulevard, once the “Grand Dame” of theater during the heydays of Manila before the Second World War. Meet the “Met”, the Manila Metropolitan Theater. 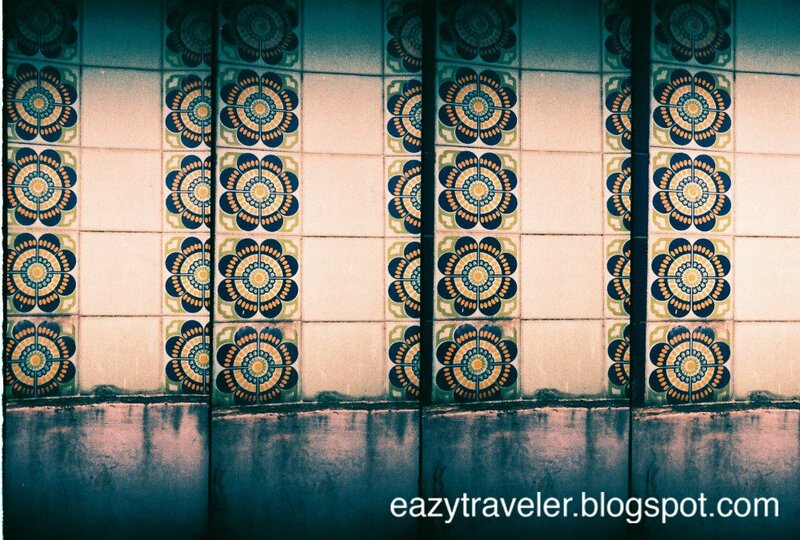 Designed in 1931 by architect Juan Arellano (1888-1960), this abandoned building is a prime example of Filipinized Art Deco, the geometric and decorative architectural style that prevailed in the US from the 1920s to 1930s. The graceful statues adorning the facade were done by Italian sculptor Francesco Riccardo Monti who lived in Manila from 1930 until his death in 1958. 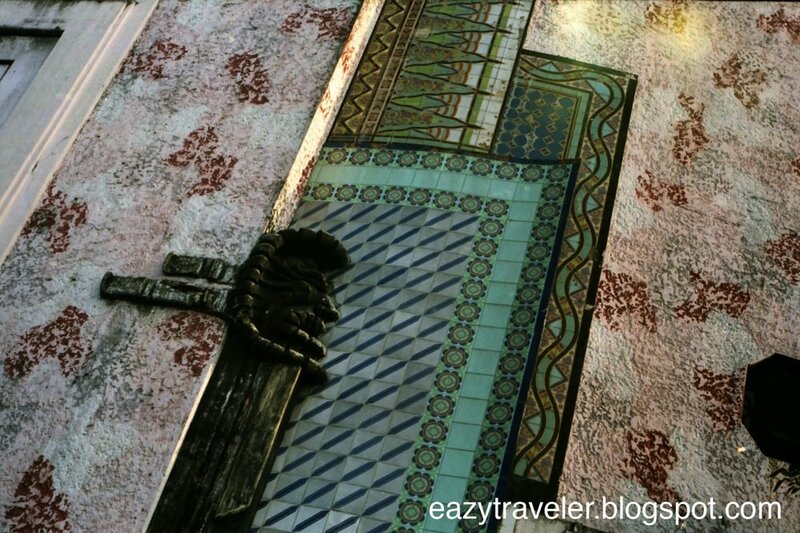 The interior lobby walls were decorated by stylized reliefs of Philippine plants done by Isabelo Tampingco. 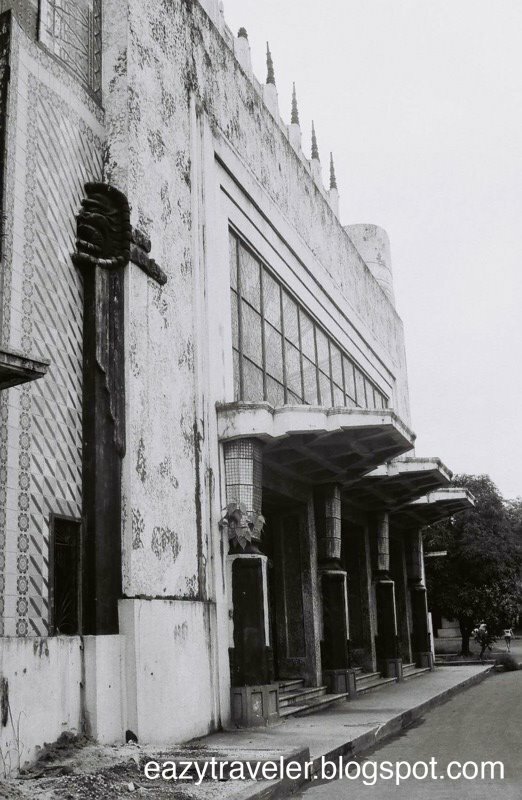 The elegant theater was the venue for operas, vaudeville, pageants and Spanish and English plays translated to Filipino for locals to enjoy. In 1945, it was badly destroyed (together with its design plans) during the Second World War and after succeeding reconstructions by the American government and Imelda Marcos in 1978, repeatedly fell to disuse and became the residence of paupers. 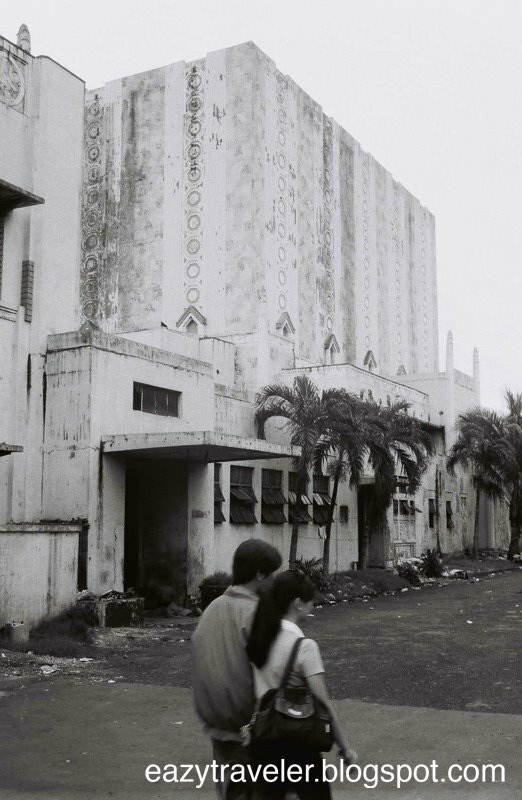 The theater was sadly abandoned in 1996 after disputes over its ownership between government institutions. In recent years, plans of restoration have been discussed but so far no signs of improvement can be seen, as the pale pink theater yearns to regain her former glory. 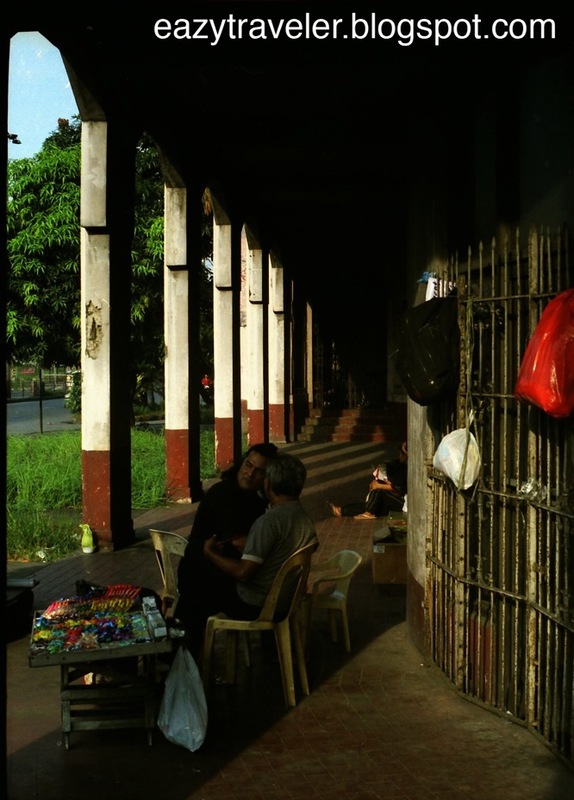 The Manila Metropolitan Theater is located near the LRT Central Terminal (P15.00) across the Arroceros Forest Park and Post Office Building. if my facts are straight, the government spent so much money rebuilding this beautiful building. but look at it now. @sidney: I am trying to reach the person spearheading the restoration to learn about the status of this beautiful building. Thanks for sharing.